HA NOI (VNS)— Resort properties have become a busy segment since the beginning of this year. Projects that integrate life values and promise excellent profitability are expected to become magnets for investors. Covering 40,000sq.m along Ha Long Beach in the prime location of the Ha Long Marina Urban Area, the project will comprise 159 four-storey townhouses designed to harmonise retail, tourism and living purposes, together with high-end amenities such as an all-season swimming pool, modern gym, park and playground. Its construction started began in the middle of May and is expected to be completed within 14 months. 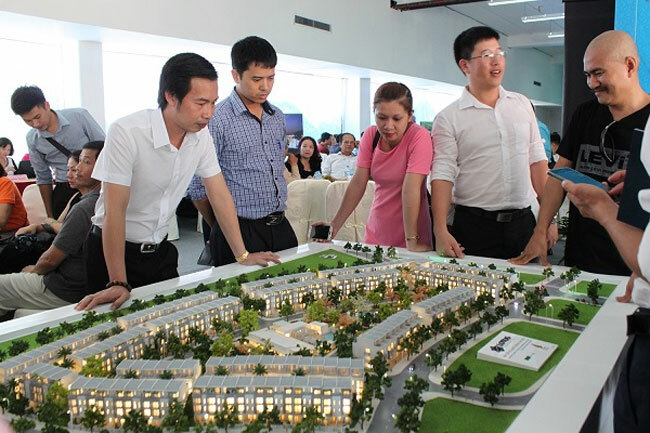 The BIM Group guarantees a combined profit of up to VND1.7 trillion (US$75.5 million), or 24 per cent of the townhouse's value at Lotus Residences, in the first three years of operation under the "rental pool" management model.